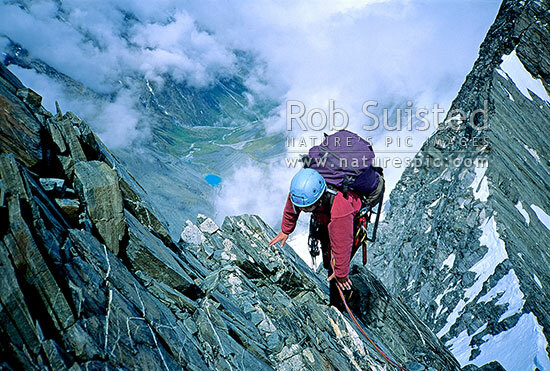 Mountaineer climbing Dilemma Peak (2594m). Copland River and terminal lake below. PHOTO BY: Phil Suisted, Aoraki / Mount Cook National Park, MacKenzie District, Canterbury Region, New Zealand (NZ), stock photo.